Afghanistan's former President Hamid Karzai has slammed the new US strategy for his country and the use of private US security firms as anti-Afghan, in an interview with a Russian newspaper out Friday. President Donald Trump set out his Afghan policy on Monday, saying US troops would "fight to win." He said there was no deadline and refused to disclose how many personnel would stay behind. Defense officials told US media the actual number of US troops serving in Afghanistan was several thousand higher than the official estimates. "I strongly oppose the new US strategy for Afghanistan as it is against the country’s national interests," Karzai told the Izvestiya newspaper. He said increased presence of private US contractors on the Afghan soil breached the national sovereignty and constitution and would lead to a drawn-out conflict and more bloodshed. US firm Blackwater (Academi) previously gained notoriety for killing civilians in the Iraq war. 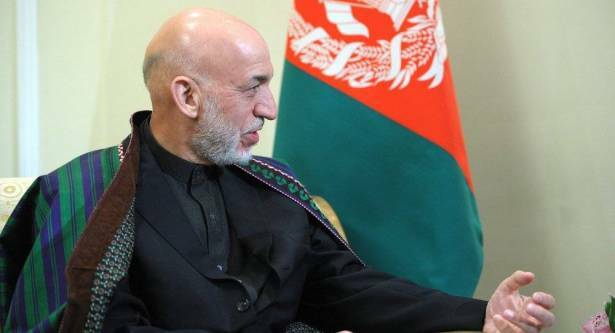 "The use of private security companies is an anti-Afghan project," Karzai concluded. The United States has been in Afghanistan for almost 17 years following the September 11, 2001 attacks in Washington and New York. Before his election, Trump condemned sending US troops and resources to this Central Asian country. The stated goal of the 2001 US invasion was to defeat the al-Qaeda terrorist group but Afghanistan has also been ravaged by the Taliban, a major Islamic fundamentalist political movement in the 1990s, which held power over a large part of the country in 1996-2001 before being overthrown. The movement was then able to regroup and regain some of its prominence, waging war against the Afghan government.